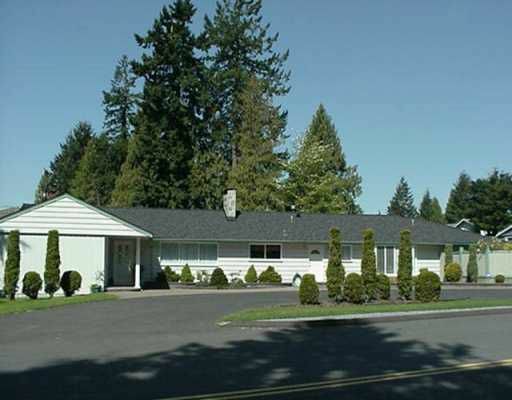 Huge completely remodeled rancher with over 2,350 square feet, perfect for a large family with suite potential. There are separate entries and separate gardens as well as a second kitchen. The over 1/4 acr e corner lot is immaculate starting with the large circular driveway to the private covered back deck to the beautiful paving stone walkways and numerous garden beds filled with perennials and colourful sh rubs and trees. The house is solid built, wheelchair friendly, brand new roof with 30 year transferable warrantee, newer high efficiency furnace and new hot water tank. The 415 sq ft garage is accessed thr ough the lane and can fit 2 cars and a motor bike. Quiet street in central Coquitlam close to shopping and schools. Open house Saturday, May 13th 2-4pm.